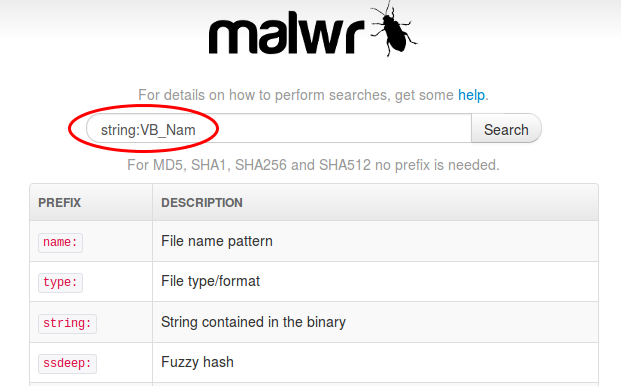 Malwr.com can search strings within samples using the “string:...” syntax on its search page. For example, we can use that feature to find all MS Office documents containing VBA macros, because they all contain the string "VB_Nam". This is because the VBA language requires every module to start with a line VB_Name = "name" (see MS-VBAL 4.2). And since it is usually inserted automatically by MS Office as the very first line of code, the string "VB_Nam" is never compressed and it appears in clear text. However, for now that search feature fails with a server error in many cases. Furthermore, it seems to be limited to a single string. For example, in my article "Unmasking Malfunctioning Malicious Documents", when I was searching files containing the string “DownloadDB403”, malwr.com was always failing with a server error. 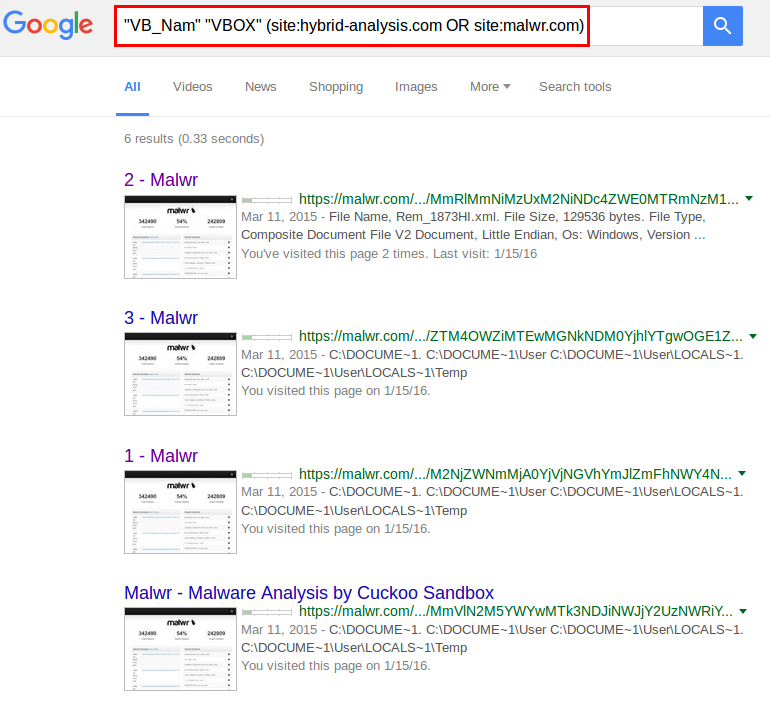 The current version of hybrid-analysis.com does not provide any string search feature. 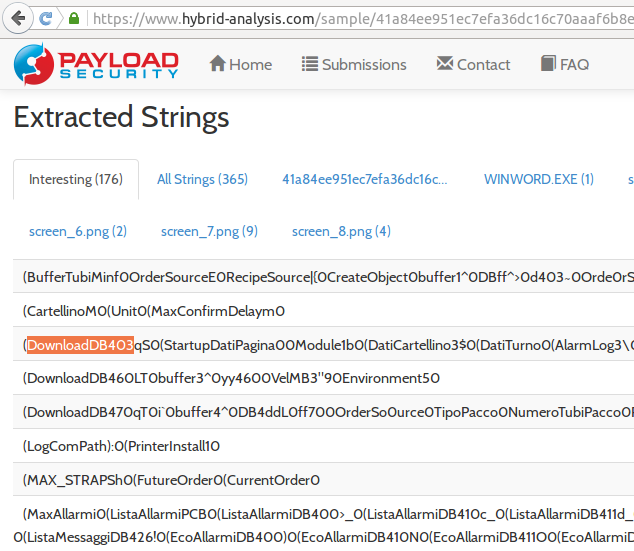 @PayloadSecurity gave me another tip, which proves to be very useful: simply use well-known search engines such as Google, by limiting the search to the hybrid-analysis.com and/or malwr.com websites. 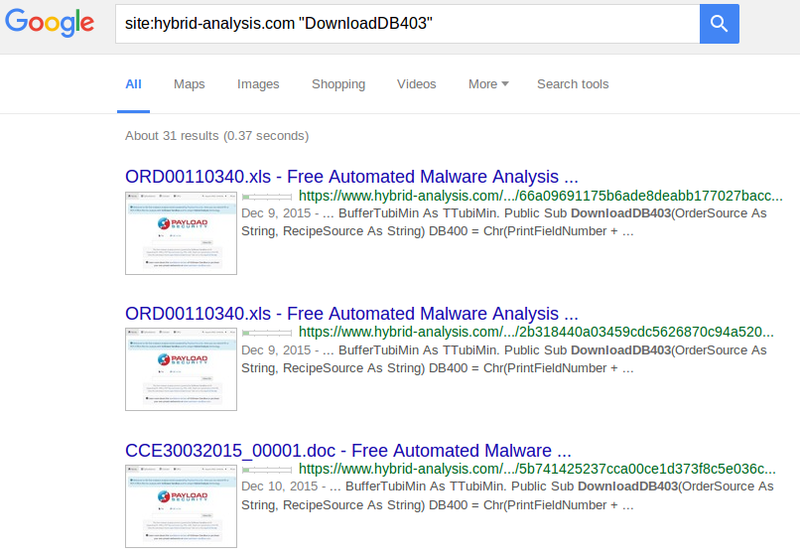 All malware analysis reports are already indexed by search engines, including the list of strings extracted from the analyzed files. Important: to get all the relevant results, it is necessary to click on “repeat the search with the omitted results included”. This method is therefore quite handy when looking for malware samples containing a specific string. Of course, all the features of the search engines can be used. The most important one is to search several strings in the same files. 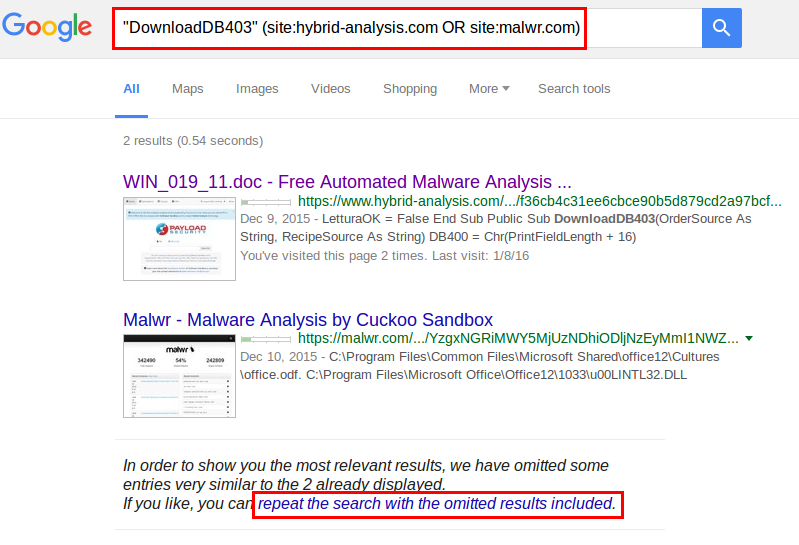 The results show that all malware samples using the same trick were uploaded to malwr.com in March 2015. It is therefore likely that this specific trick was not reused afterwards, or that malware writers took care of obfuscating the strings. Another example: let's look for RTF documents containing other files such as executable files. This technique is sometimes used by malware writers to deliver malicious payload without being too easily detected. In that case, embedded files are usually stored into OLE objects inside RTF files, and more specifically OLE objects of type "Package". 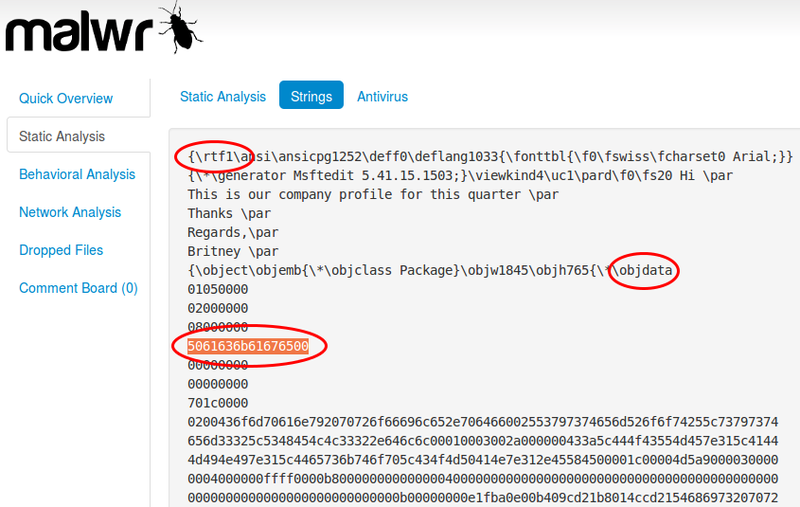 To be more specific, we will also look for the string "rtf1" which much be present in every RTF file, and the keyword "objdata" indicating an OLE object embedded into RTF. 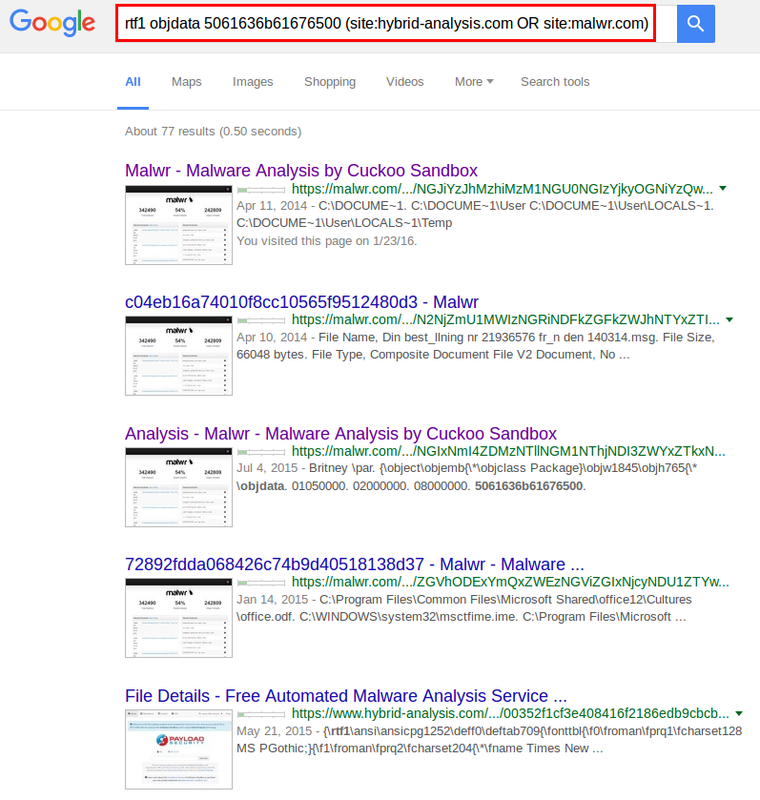 Thanks to websites such as malwr.com and hybrid-anallysis.com which give access to many recent malware samples including all the strings extracted from them, it is possible to leverage search engines to look for interesting strings. In this article I presented a few examples, but there are surely many other use cases for this technique. If you find other useful ideas for malware analysis, please contact me or publish it on Twitter. It is even possible to create a Google custom search engine to make it easier. 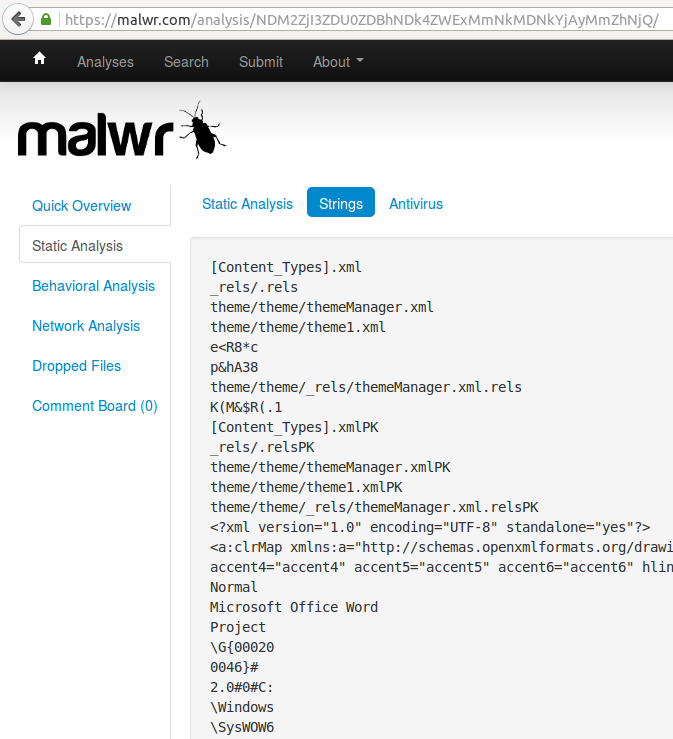 You just need to type the strings, and it will search into malwr.com and hybrid-analysis.com directly.